There’s a story I enjoy sharing whenever I speak to people about unleashing their potential. In his 1993 book, “You’re Born an Original, Don’t Die a Copy,” John Mason shares the story of a young boy who lost his left arm in a car accident. When he was 10 years old, the boy decided to enroll in judo classes with a Japanese master. The boy didn’t understand, but he trusted the judo master and kept on training. A few months later the sensei decided to enter the boy in a tournament. He won the first two rounds, surprising not only himself, but also many other people. As the day went on, the boy won round after round until he reached the finals. He was up against a bigger, stronger and more experienced opponent. At one point, it looked as if the match was too one-sided and the referee wanted to stop it. The sensei insisted that they continue. Then the bigger boy made a critical mistake, and his opponent used the only move he knew to pin him down. The boy had won the match and the tournament – he was the champion. On their way home, the boy asked the sensei how he was able to win with only one arm, knowing only one move. The sensei told him that there were two important factors that played a role. Upon meeting the boy, the judo master immediately saw how he could unleash the boy’s potential by turning his biggest weakness into his biggest strength. 1. If you were the boy with one arm, would you have enrolled for judo lessons? In other words, would you have given yourself the chance to explore and unleash your potential despite an obvious drawback? 2. If you were the judo master, would you have accepted a boy with only one arm as a student? In other words, how do you look at people as a leader or manager: do you see their shortcomings, or do you see the potential behind the shortcomings? Believing in your abilities, and being disciplined enough to follow through on a decision, might help you to reach your potential. Believing in others, supporting them, and providing them with the right tools might help them to reach theirs. In our poll this week, we wanted to know what action from leaders or managers you thought would best help you to unleash your potential. More than a third of participants voted for having more autonomy, while another third felt it would help if their managers/leaders listened to their ideas. Click here to view all the options and the results. What difference would it make to your life and career if you unleashed your potential? What’s the link between a person’s purpose and potential? What might “unleashing potential” actually look like for a person? How can you support employees to help them reach their full potential? What are the benefits of unleashing the potential of your team, and/or the organization? Yolande Conradie, thanks a lot for the article post.Much thanks again. Fantastic. Thanks Bianca for that feedback. 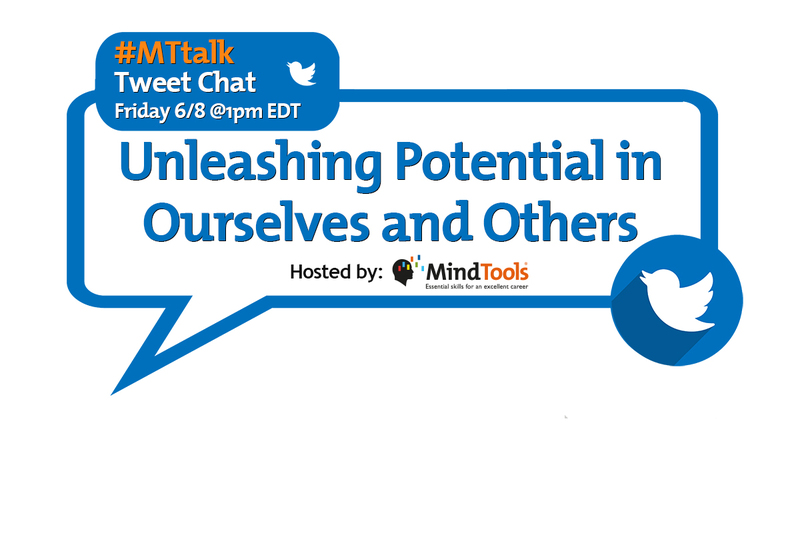 Hope you will be able to join us for the #MTtalk and share your ideas about unleashing potential. Thanks, Bianca. I’ve always loved that story and I’m glad to hear you also like it.